Built in Base Black Plinth - Gives great strength and rigidity. 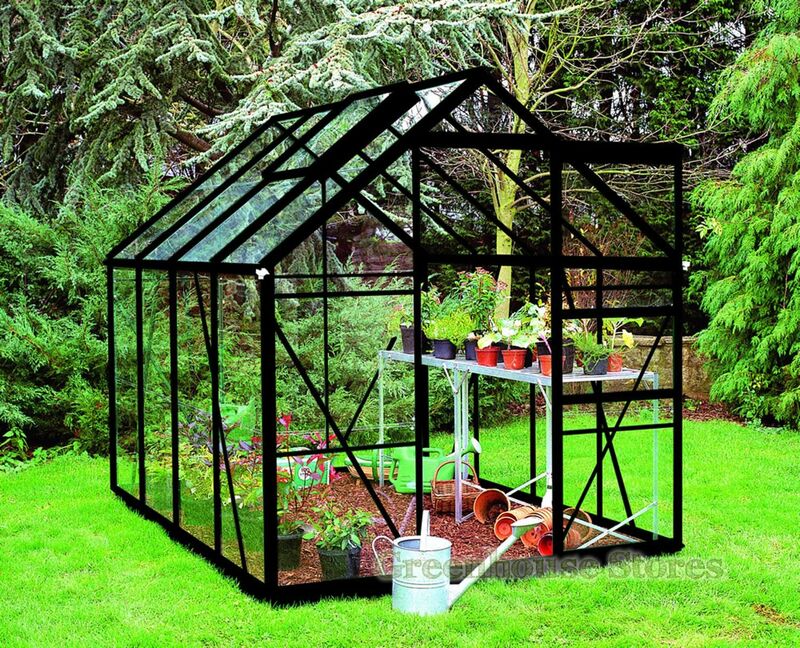 The 6ft 2" wide 8x6 Eden Regent Black Greenhouses are stylish, spacious and sturdy making it an ideal greenhouse for your garden or allotment plot. This Eden Regent Black 8x6 Greenhouse with 3mm horticultural glazing has 1 opening roof vent for ventilation, a single sliding door and integral gutters to collect rainwater.